AGS has always been a leader when it comes to arming our partners with ideas for taking events to the next level … since the industry requires constant evolution in order to stay competitive. But this also underlines why an incubator-like approach is needed to support true development and sustainable growth. The industry is changing at a lightning pace, so show managers can benefit from a solutions-minded GSC now more than ever. 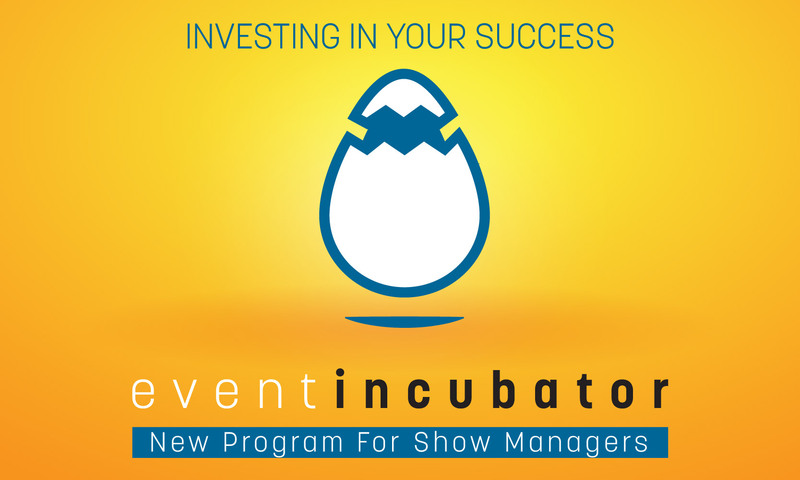 This is the inspiration behind our new partnership program, the Event Incubator. For new and established events alike, this complimentary one-on-one program creates innovative solutions designed to help you achieve your revenue goals and strategic objectives. From sponsorship programs that add true value to designs and branding that excite, we invest in you by giving you exclusive access to our resources, event tech and creative sweat equity that ensures your event’s financial, visual and marketing success. We know that most shows are on a tight budget. Thanks to this invaluable program, we can leverage our resources and staff to defer a bulk of the costs associated with growing your event. How does Event Incubator work? Our new in-house event specialist and team work directly with show managers to define and align an event’s strategy with the best mix of turnkey solutions and tools.